I was in eighth grade when I first learned about the major types of narrative conflict. 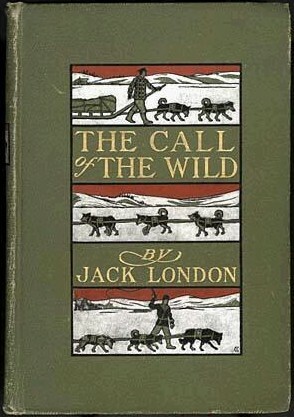 We were reading Jack London’s The Call of the Wild, and I remember how frustrated I became when there were different opinions about what was the main type of narrative conflict in the novel. Was it man against man? Man against society? Man against nature? Or man against self? Of course, back then in 1981, we still used the word “man” to refer to human persons in general. There were three main things frustrating me. First, the main character was a dog, Buck, so the whole “man” thing needed some adjusting. Second, once I understood anthropomorphization, that is, imputing human characteristics to non-humans, I could see the conflicts for Buck and the other characters, canine and human, in all four categories of conflict. Third, our teacher claimed there had to be one primary type of conflict in this and every story. I don’t know if she actually believed this claim or if she was simply towing the party line of the teaching methodology of the time. I have not read The Call of the Wild since then in the last 34 years and therefore I do not remember much of the story. I do remember how confused and frustrated I was over why there had to be one primary type of conflict. I was certain all four types were present in the novel. And so, in preparation for this message and with nostalgia brewing inside me, I did what most of us would do: I read the Wikipedia article on the novel … and some SparkNotes. The life of an inquiring mind is so much easier these days. Despite my eighth grade frustration with having to chose one primary type of conflict for The Call of the Wild, I’m going to make a bold claim and challenge my 13-year-old self by saying there is one primary type of conflict in every story and in every one of our lives: internal/spiritual conflict. It may be true that any particular story has one of the other types of conflict driving the action, but underneath it all there is internal/spiritual conflict, there are internal motivations and struggles and personal histories. I base this claim on the biblical account we heard this morning from chapter two of Genesis. We may commonly think the first conflict in Genesis is the serpent and forbidden fruit episode. Makes sense, right? That’s what we focus on. It was the serpent’s fault for bringing temptation to the world and for lying about what God said. It was Eve’s fault for first giving in to temptation. It was Adam’s fault for not taking personal responsibility. That’s all in chapter three of Genesis. In chapter one God created everything and said it was “good” and after he created humans on the sixth day he said it was “very good.” That’s chapter one. There was no conflict. No rising action. Chapter two tells a different story. “In the day that the Lord God made the earth and the heavens, when no plant of the field was yet in the earth … [so on and so forth] … then the Lord God formed man from the dust of the ground, and breathed into his nostrils the breath of life; and the man became a living being.” The word for “man” in the Hebrew here is “adam,” which may be best understood through a play on words, such as “mud-man” or “dust-dude.” Then God created a bunch more stuff, like a garden with trees and rivers. Still no conflict. “Then the Lord God said, ‘It is not good that the man should be alone.’” And there it is, the first conflict in the Bible, the first report that something was not alright. It was “not good” that the mud-man, Adam, be alone. There are two main points I want to make here. First, while it is “comic” that God does not seem to know that Adam needs another human, the point is not to highlight God’s apparent ignorance but to highlight the separation of humans from animals and the separation of humans from God. Both separations are healthy. God created things this way. Already in the very beginning of humanity, God was giving us the amazing freedom to find purpose and fulfillment in each other and not to be solely dependent on God. That’s true love, that freedom to love another is inherent to what love truly is, that love is not synonymous with dependency. There are lots of passages in the Bible that suggest we should “depend” on God, but, to quote the meme from the Princess Bride, “You keep using that word. I do not think it means what you think it means.” “Depending” on God has everything to do with “trusting” God rather than with “relying on emotional provisions” from God. God is God. God is transcendent. God does not rely upon us or the creation to sustain God’s being. God lives eternally in perfect relationships within the Trinity. We are not God. And, as Genesis 2 reveals, we humans are not animals in the spiritual sense. We do not trust animals to meet our emotional and relational needs. We are separated from God. That’s how God created us, for good reason. Our separation from God became corrupted in the serpent/fruit episode; it did not cause the separation. The second point I want to make from Genesis 2 follows from the first point, that God created us to need each other. We need relations with other humans. This need for each other, this need to not be lonely, to be related, is the primary spiritual need that we have as humans. Where we often get ourselves into trouble is not living out our lives within this realization, within this faith, that our most primal spiritual need is to be in relations with each other. Too often we corrupt our relationships into personal power plays for getting what we think is the “best way.” I am not saying we should not make value judgments about outcomes and process in the stuff we do together. I am saying that in our interpersonal deliberations, no matter how heated discussion becomes or how angry we get, we should always remain within this understanding that we need each other and that this need is our mutual and primary spiritual need. Now here is where things get tricky. There are lots and lots of people out there. In our consumerist society we value having lots of options. Some people we choose to be in relations with, some we don’t choose, and yet other relations are a mixture of choice and pre-selection. I know lots of people, having come from a large extended family, married into a large extended family, attended several schools, worked several jobs, and been a member and supporter of multiple churches and organizations. Like most people, however, I have only a few deep and abiding relationships. Many experts agree that to maintain optimal mental and physical health we need 3-5 close friends. Our capacity for close relationships, whether family or friends, is about 15. It’s not the quantity, it’s the quality. Even though I may at times feel lonely, I am not alone. We all feel lonely at times, but we all should know that we are not alone. As I said before, this is how God created us, to know that loneliness is not our destiny. In the case of Genesis 2, it only took one more person to cure mud-man’s loneliness. Stoop down and reach out to those who are oppressed. Share their burdens, and so complete Christ’s law. If you think you are too good for that, you are badly deceived. Make a careful exploration of who you are and the work you have been given, and then sink yourself into that. Don’t be impressed with yourself. Don’t compare yourself with others. Each of you must take responsibility for doing the creative best you can with your own life. For my part, I am going to boast about nothing but the Cross of our Master, Jesus Christ. Because of that Cross, I have been crucified in relation to the world, set free from the stifling atmosphere of pleasing others and fitting into the little patterns that they dictate. Can’t you see the central issue in all this? It is not what you and I do—submit to circumcision, reject circumcision. It is what God is doing, and he is creating something totally new, a free life! Life is not what you do, it is God creating a totally new life in you! Conflicts within ourselves arise when we give ourselves over the antitheses of Paul’s lessons, when we make ourselves lonely because we don’t learn about ourselves, we compare ourselves to others, we mimic the work of others and seek the status quo, we boast about our own work, and we confuse our work with our identity as made in the image of God. Only when we have a decent level of peace and contentment with ourselves and our identity in God can we feel unburdened in doing the stuff we do. If we don’t feel content with ourselves, then we may feel burdened by our work. We may want to turn that around and recognize that if we feel burdened by the work we do, we may not be content and at peace with who we are in God. Once we get square within ourselves and with our identity in God, then we can fruitfully work on other conflicts in our lives—be they with other individuals, society, or nature. Do you feel and hear God’s call to your primitive, divine nature to not be lonely, to be in close relation with others? In The Call of the Wild, Buck was a kidnapped dog living a life of turmoil and frustration in harsh and cold terrain with harsh and cold co-travelers. Toward the end of the novel, Buck discovers a lone timber wolf in the wilderness. Buck connects with the wolf, and they run together for hours before Buck returns to his master. The narrator (with internal access to Buck’s mind) says: “But especially he loved to run in the dim twilight of the summer midnights, listening to the subdued and sleepy murmurs of the forest, reading signs and sounds as a man may read a book, and seeking for the mysterious something that called—called, waking or sleeping, at all times, for him to come.” Buck felt and heard the call to his primitive, canine nature, which he ultimately found. Do you feel and hear God’s call to your primitive, divine nature to not be lonely, to be in close relation with others? Do you let yourself “run in the dim twilight” of life, “seeking for the mysterious” God that is calling you to be at peace with your life? Amen.